Let the Silver Waves Chinese Restaurant be your refuge from the hustle and bustle of the city. 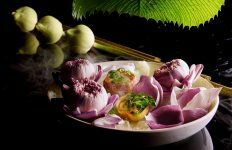 To help you savour its panoramic views of the Chao Phraya River and the bejewelled sunsets of the rainy season, our Chinese chef offers a list of the menu items he recommends as the finest expressions of Cantonese cuisine. 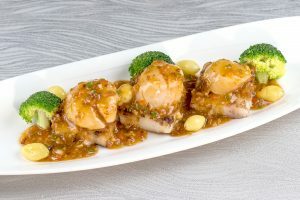 Pan-Fried Scallops with XO Sauce & Gingko Nuts – The incomparable flesh of the scallop has been called into service in this dish, mingling and complementing the aroma and spicy bite of this classic sauce. 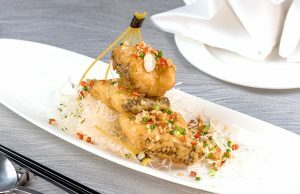 Wok-Fried Snow Fish with Sale & Chilli – In this recommended dish, the firm yet delicate flesh of the snow fish is prepared with salt and chilli, and lovingly presented on a bed of rice noodles. 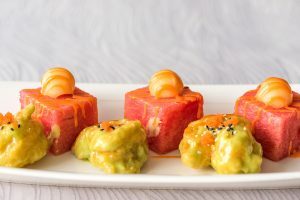 Deep-Fried Prawns with Wasabi and Watermelon – The Chef has found the perfect entrée for those seeking a balanced meal that won’t leave you too full to enjoy exquisite side dishes and dessert. It is his picturesque treatment of fine local prawns. 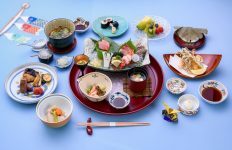 This meal is light on the stomach but complex in its blending of flavours, colours and aromas. 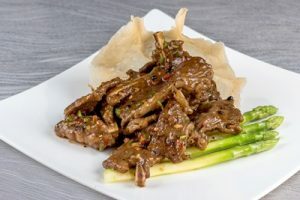 Deep-Fried Australian Veal Spare Ribs with Black Pepper Sauce – Lovers of the strong flavour of veal will revel in this timeless combination with a black pepper sauce. Tender and delicate in texture, but strong and spicy in demeanour! 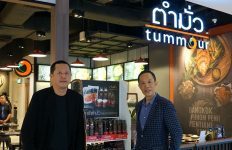 Chilled Mango Pudding and Banana Fritter in Honey Sauce – The Chef knows what a joy it is to work with local ingredients, and Thailand’s mangoes and bananas are dear to the heart of every resident of the Kingdom. 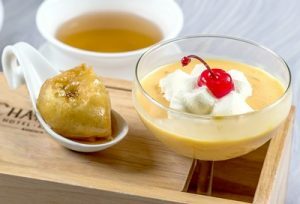 Our pudding and fritter combination is the perfect way to end an adventure in Cantonese cuisine. 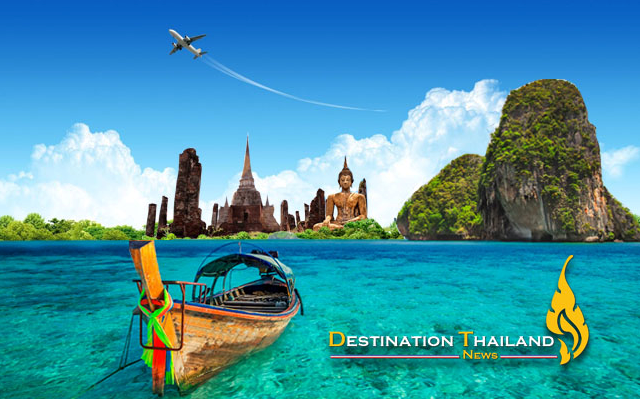 We invite our guests to enjoy panaromic views of the Chao Phraya River and fine dining daily from 11.30 am – 2.30 pm and 6.00 pm – 10.30 pm. 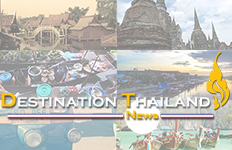 The Silver Waves Restaurant is high up on the 36th floor of the luxurious Chatrium Hotel Riverside Bangkok, famous for its captivating riverside charm.